Are you looking for a painting company? If you are looking for a Painting Contractor, we are the experts you want to call. We have crews with over a decade of experience who have refined their skills over the years. This gives us the opportunity to make sure we get the right colors, the right texture and the best overall experience for our customers. We work in Mesa, Gilbert, Chandler and other local cities to provide you with quick service. You can see our work in your local neighborhoods and retail areas. We are experienced professionals that you can trust with your new paint job. 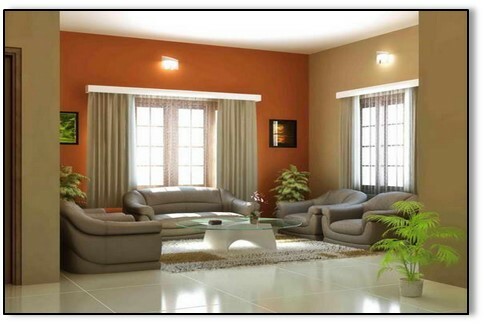 ﻿​We view painting your home or business as a worthy long-term investment in perhaps your biggest asset. New paint increases its durability, beauty and value. Interior painting is roughly about $1.00 per square foot. We measure the wall space to be painted, trim, doors, etc. Exterior painting is roughly about $1.25 to $1.50 per square foot. Measurements include the surfaces, trim, soffit, fascia, gutters, etc. Typically, we can paint 800 to 1,000 square feet of your home or business per day when using multiple colors. If just one color is used, we can paint up to 1,500 square feet of your home in one day. We will be happy to come by and take a look at your project and give you a more accurate estimation of how long it will take us to complete your job. We have several quality steps we use to complete your job. First we come out and do minor repairs such as repairing small holes such as nails, etc. and cracks. Then we prepare the surface for paint. We apply two coats of paint to all surfaces. We clean up and let you inspect it. We want you to be happy with all of our work. Let us come out and explain it to you. Mesa Painting Pros are ready to work when you are and your home or business will be treated like we would treat our home. Remember, we live here in Mesa, too. We want to be able to look you in the eye when we see you knowing you are as proud of our work as we are. In fact, most of our business these days comes from referrals. Call us and let us get started for you!